Dana Markos Events; Event Design and Floral Styling: Apps to Plan Your Wedding! Planning a wedding can be pretty daunting, but with these apps for your phone you are sure to stay on track with money, timing, and overall organization! This is a great application that is FREE to use! All you have to do is enter your budget and from there it breaks down the money into different sections and estimates the cost alloted for each. 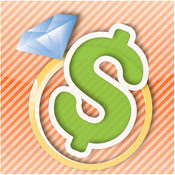 This app is also completely customizable and you are able to change how much money is alloted. Another great feature is that there is a note section for each breakdown. Here you are able to write down a quick reminder or if you remembered a DJ that you have heard before or something like that you can jot it down. Although this app isn't free it is totally worth the $6.99! 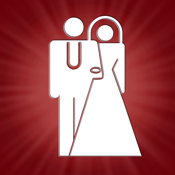 This app is basically your very own wedding planner and is with you 24/7. Some of the features that are included are a budget planner, registry tracker, guest list, seating arrangements, invitation tracker, etc. This is a great way to have everything you need at your fingertips if something comes up last minute. 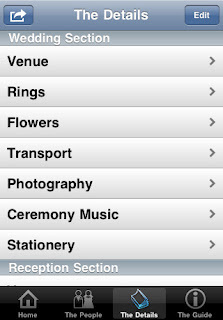 Another great feature with iWedding Deluxe is that you can post updates immediate to Facebook or Twitter if you need to! This application is a mere $0.99 and will keep your stress level to a minimum. Seating arrangements can always be a huge hassle - what family members should sit together? What about a kids table? What family and friends would mix well together? These things constantly change and having this application with you at all times would help alleviate the stress of trying to remember things as they come up! 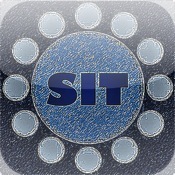 With this handy little app if you think of something, it is so easy to change around the seating arrangements. Some of the great features included in this app is that you can pick the exact table shape you are having and how many people will be at each table. Once you complete the table arrangements you can take a screen shot and immediately email it to yourself so when it comes to the big day it will a breeze to place the seating arrangements! Enjoy planning your wedding and hopefully some of these apps will be of assistance to you! If you have used any of these or other applications we would love to hear about it!